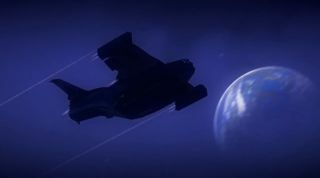 Robert Stoneman's "We're at War" is one of the most well executed pieces of Planetside 2 machinima we've seen so far. Interspersing well-edited footage with stylized camera filters and classic, real-world war era broadcasts, it almost looks like something out of a documentary. Plus, the NC features prominently, which is enough to win me over immediately in most cases. I'm easy like that. Have a look for yourself above, and check out the director's website if you like what you see.